At Bernick’s, we love what small, independent craft breweries are doing in the beer landscape. We love how they incorporate and engage community into their brands. And, we’re particularly interested in helping craft breweries reach even more consumers and help widen the footprint each of them have. 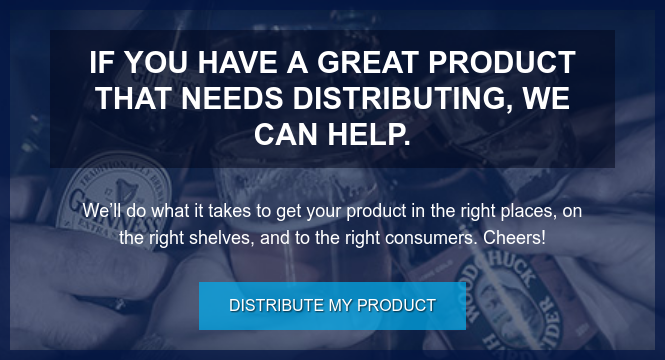 We take the time to understand what both our craft beer suppliers and customers want. That means learning the ins and outs of craft brewing … helping emerging brands in our markets develop and grow … and positioning a Craft Beer Expert at each Bernick’s location who can answer questions, scope out new products, attend industry functions, and ensure we’re staying on top of craft beer trends. Our passion for all things craft beer also carries over to our love for offering great customer service to our partners in the trade. Craft beer isn’t the kind of product you can just box up and send off. It takes special care and an extra dose of storytelling. We have a full-time service department to ensure that our tap lines are properly installed and maintained … and each warehouse has cold storage and temperature controlled areas that ensure proper storage and distribution of craft beer brands.